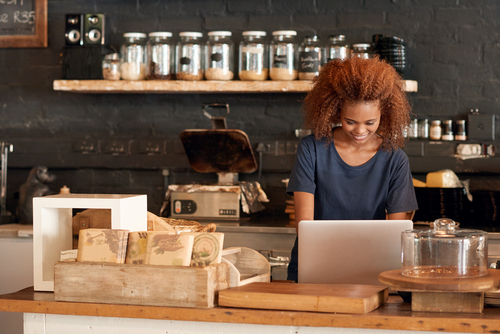 For small business owners, finding ways to increase foot traffic and create a loyal customer base can be a difficult. While traditional marketing methods may have worked for you in the past, the technology now available has made online marketing imperative to expand and market your business effectively. It’s important that small business owners stay current on the newest resources to help their businesses get discovered. The first step to getting noticed by consumers searching on the web is creating a strong online presence. A great way to expand the reach of your online presence is to use deal sites, check-in offers, and loyalty programs that can incentivize customers to choose your business. If you just opened your small business, partnering with sites like Groupon and LivingSocial is a quick and easy way to gain exposure on the web. When you entice customers to purchase with your business by offering them a discount or deal, they are more likely to give your business a try than more established companies. Not only are these sites great for increasing your reach on the web, they also motivate new customers to visit your business. While deal sites are useful in gaining the attention of new customers, they haven’t proven to be the most profitable partnership for small businesses. If foot traffic and online visibility are what your business needs to increase, these sites can be a great resource to achieve those goals. Put your small business at an advantage over your competitors by implementing check-in offers into your marketing strategy. Incentivize people to visit your business by offering specials, freebies, or discounts when they check in at your business on sites like Yelp, Facebook and Foursquare. Check-in offers are an effective way to drive revenue and foot traffic but they also help to generate reviews for your business. Customers who check in online are often prompted to post a review about their experience online. Considering that 90% of customers say their buying decisions are influenced by online reviews, this is a powerful tool to take your business to the next level. According to a recent survey, people are over 80% more likely to purchase with stores that offer some type of loyalty program. Harnessing that interest by implementing a loyalty program at your small business will not only increase traffic to your store, but also build consistent relationships with your customers. While loyalty programs attract customers to your business, they also are an easy incentive to keep customers coming back. 80% of your revenue likely comes from just 20% of your loyal customers. So taking advantage of customer retention strategies like loyalty programs will ultimately ensure your business has repeat customers. Deciding which marketing tactic works best for your business is key in expanding your reach and retaining customers. By implementing deal sites, check-in offers, and customer loyalty programs into your marketing strategy, you ensure success for your business. Learn more about SinglePlatform can help your business grow.